34 two bedroom units located on the south side of Highway 6 within walking distance of the lifts. Two outdoor year round hot tubs. The next CR 3 Board of Directors meeting will be held Monday April 22, 2019 at 5:00 PM MTN in the SRG office. The CR 3 Annual Meeting will be held on Saturday, June 29, 2019 at 9:00 am. Only Owners are Permitted to have pets; guests and tenants are not permitted to have pets. Please contact D n R kennels at 970-453-6708 for boarding information. 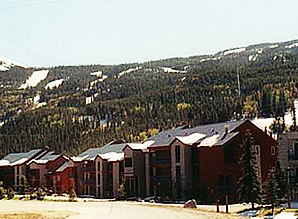 All Vehicles parked at Cinnamon Ridge III require a parking permit. Please hang the permit from your rear view mirror.. There is a permit located in each unit. If you are in need of a permit, feel free to download and fill out the below parking permit.